The first MoT for new cars could be extended to four years from 2018, if a Government consultation on road safety is given the go ahead. Under current legislation, a new car is required to undergo an MoT test on the third anniversary of its registration. However, the Department for Transport says modern vehicles are more resilient to wear and tear - and therefore roadworthy for longer. As a result, the Government has launched a public consultation to change the legal requirement to four years. Every year 2.5 million cars undergo their first MoT at three years and the Government says a change would save UK drivers more than £100 million annually. The four year MoT testing standard for new cars is already in place in Northern Ireland and many other European countries, including France, Ireland, Italy and Spain. MoT testing was introduced in the UK in 1960, when cars were first inspected 10 years after registration. In 1967 testing was changed so that the first test was carried out on a car after three years and then annually thereafter. The government says a law change would save UK drivers more than £100 million every year. According to the Honest John MoT Files, two out of 10 cars fail the first MoT, with headlights, tyres and electrical items among the most common failure points. At year four, the average cumulative mileage for a car is around 42,000, while government stats show that vans have an average mileage that is over 93,000. The Government claims that money-saving benefits would outweigh any possible risk, owing to the fact that annual maintenance and servicing checks should still be required for new cars. It has also said the law change will not alter the legal requirement on motorists to maintain their vehicle to a roadworthy standard. 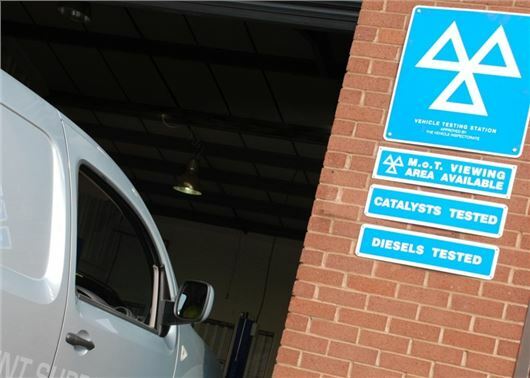 The consultation is also examining the MoT testing for new vans, with the possibly of extending the first MoT for new commercial vehicles - up to 3.5 tonnes - from three to four years. It's already four years in Northern Ireland. I bought s car in 2008 in the Midlands. It was still road worthy when I sold it in 2011. I never had to have it in the garage. The only thing I ever did was change the light bulbs.